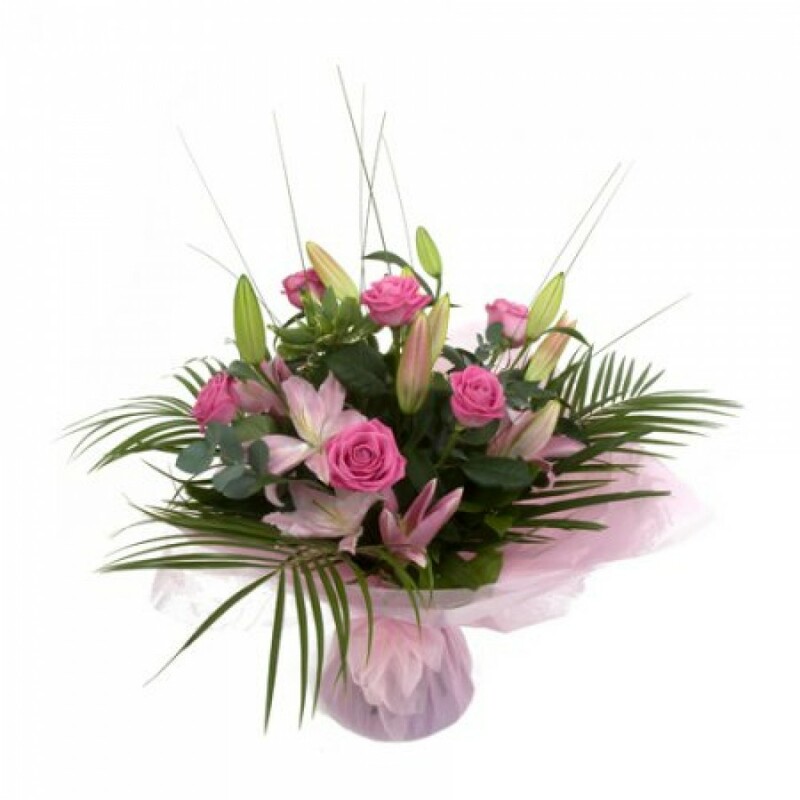 A stunning handtied arrangement of roses, oriental lilies and lush green foliage. If you would prefer white oriental lilies with pink roses please specify at the time of ordering. Flowerscene are delighted to offer this bouquet for flower delivery in Aberdeen and surrounding areas.